Chic, mysterious, and alluring describes this little black dress with a flirty cutout detail in the front. 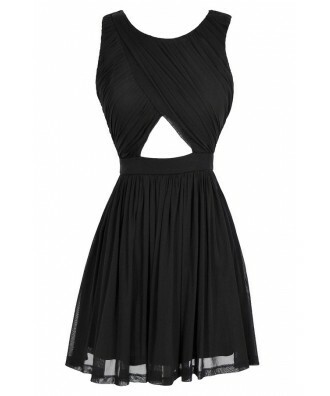 The Cut It Out Black Dress is fully lined and made of a sheer mesh fabric. It has a high rounded neckline and a unique crossover fabric design that makes up the bust part and leaves a triangular cutout in the front. The attached skirt has a flowy A-line cut and an exposed back zipper completes this dress. The Cut It Out Black Dress would look great paired with black pumps, wedges, or heels and some pretty jewelry. 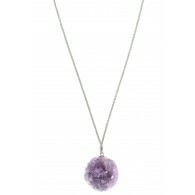 Or try punching this dress up with a bright, unexpected color. This is a great option to wear to your next cocktail party or semi-formal event. Details: Fully lined. Exposed back zipper. 100% nylon. Lining: 100% polyester. Hand wash cold. Do not bleach. Line dry. No iron. Small measurements: Length from top of shoulder to hemline: 32”. Bust: 32”. 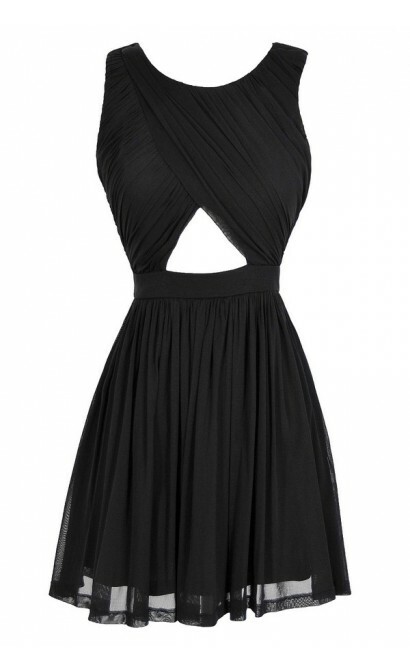 You have added Cut It Out Black Dress into Wishlist. You have added Cut It Out Black Dress for Stock Notification. You have set Cut It Out Black Dress as a loved product. You have removed Cut It Out Black Dress as a loved product.